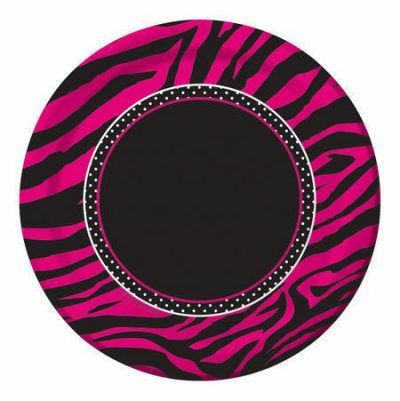 SKU: CE415454 Categories: Pink, Hot Pink, Black, Pink Zebra Boutique, Paper Plates, Glamour, Zebra, Pink, Pink Zebra, ON SALE! These fab Paper Plates ~ Pink Zebra Boutique are ideal for a girly party. A great option for a glamour party or pamper party. These lunch sized plates are perfect for children’s parties or for serving snacks or cake.